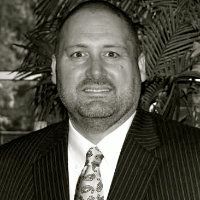 Greg Taylor has extensive expertise in all aspects of the telecommunications industry. His focus is on contracts, litigation, mergers\acquistions, and regulatory matters pertaining to the telecom sector. He has served as general counsel for IXC, CLEC and VoIP companies. Because of his broad experience in the industry, he is a highly sought speaker at national conferences and frequently published in various trade publications. Beginning in 2006, he was an attorney with Technology Law Group, a D.C.-based telecom boutique firm. There he represented clients in various matters including transactional (i.e., contracts), regulatory (i.e., state and federal) and litigation (i.e., state and federal) services. From 1999 to 2006, he served as VP|General Counsel of Matrix Telecom, a subsidiary of Platinum Equity. While at Matrix, he provided legal counsel and business advice in connection with a number of multimillion-dollar acquisitions, managed complex federal and state court litigation and arbitration cases, negotiated service agreements with dozens of telecommunications carriers, including every Tier 1 carrier, other major carriers, and managed the preparation and filing of applications to obtain nationwide local service authority for Matrix. He has appeared in proceedings before the Federal Communications Commission and many state public service commissions. Specialties: Litigation, arbitration, mediation, contracts, mergers and acquisitions together with state and federal regulatory representation. General corporate services, including corporate formation and governance, contract and litigation matters.